1. You can’t deny that the best team won. As gallant as the Sharks were in the final, the Bunnies dominated the tournament from start to finish. They romped home in both the quarter and the semi, had all the ball in the final and were stingy on defence over both days. With Adam Reynolds and Isaac Luke steering them around the park, and George Burgess as their enforcer, the Bunnies showed exactly why they are favourites to defend their NRL title. 2. The game isn’t over until the final whistle blows. At a glance, Nines can look much different to the 13-a-side game, but in essence, nothing changes. The rapid-fire nature of the tournament, with game after game, highlighted the fact that no lead is ever safe. The Warriors were perhaps the best (or worst) example of this, against Canberra, but the amount of last-minute match-winners was startling. Hopefully this is a lesson to everyone never to switch off until the game is done. 3. Ryan Hoffman is a brilliant signing. Following on from the point about playing right to the final whistle, there is one moment that stood out to me more than any other over the weekend. It was the Warriors’ first game of the tournament, against the Titans, and Chad Townsend was tackled just before the hooter sounded. As he stood up, he heard the hooter, started shaking hands with the opposition and threw the ball away. At this point, the referee hadn’t blown the whistle, so Ryan Hoffman ran over and picked up the ball. Of course, the ref blew the whistle and nothing more came of it, but that small action shows me that ‘The Hoff’ hasn’t come here to retire, he’s come here to win, and the more that attitude rubs off on the rest of the team, the better. 4. Goal-kicking/drop goal ability is under-rated. Yes, it’s unlikely anyone will need to kick a drop goal from the sideline at any point in the NRL season, and I realise players didn’t appear to take this part of the tournament very seriously, but there’s no doubt that a sharp-shooter could have made a huge difference for a number of teams. Just look at Valentine Holmes! It looked to me like everyone had decided that tries were what wins you games, but the Warriors’ quarter-final against the Sharks showed that the team that scores more tries doesn’t always win. Shaun Johnson has been steadily improving as a goal-kicker, and the Warriors will need him to continue to improve to make sure they win those tight tussles when the NRL starts proper in a few weeks’ time. 5. How good was it to see wingers in space?! With only 4 less people on the field, it doesn’t seem like much, but it clearly made a huge difference. With sliding defences, these days the role of the winger seems to have changed from gassing people on the outside to leaping for high kicks and acrobatic touchdowns in the corner. But given the space, Jake Mamo, Eto Nabuli, Marika Koroibete, Big Manu and plenty more, showed again how great it is to see fast men fly. 6. Shaun Johnson is going to make you jump out of your seat fist-pumping many, many times this year. Okay, so you probably already knew this, and Johnson didn’t exactly set Eden Park alight with his play over the weekend, but there were a few flashes that brought collective gasps around Auckland. When he runs at the line, I’m not sure there’s anyone more exciting, and if he can nail the basics this year, he’s a chance to start threatening for the Dally M.
7. The Warriors have plenty of exciting youngsters who can dazzle on attack, but they still need to work on their defence. Solomone Kata was one of the stars of the tournament, and Tui Lolohea has been thrilling the Mt Smart faithful through the various grades for a couple of years now. But each of them let in a soft try on day one, plus combined to let in a try on day two, and it is this part of their game they’ll need to strengthen if they want to progress to the NRL this year and cement their place in the side. 8. I’d love to see Sam Lisone get a crack at NRL level soon. We only saw Sam in brief spurts at the Nines, but he’s got great speed for a big man and slick hands to go with it. He led the under 20s with huge passion last year and he’s got a great motor. 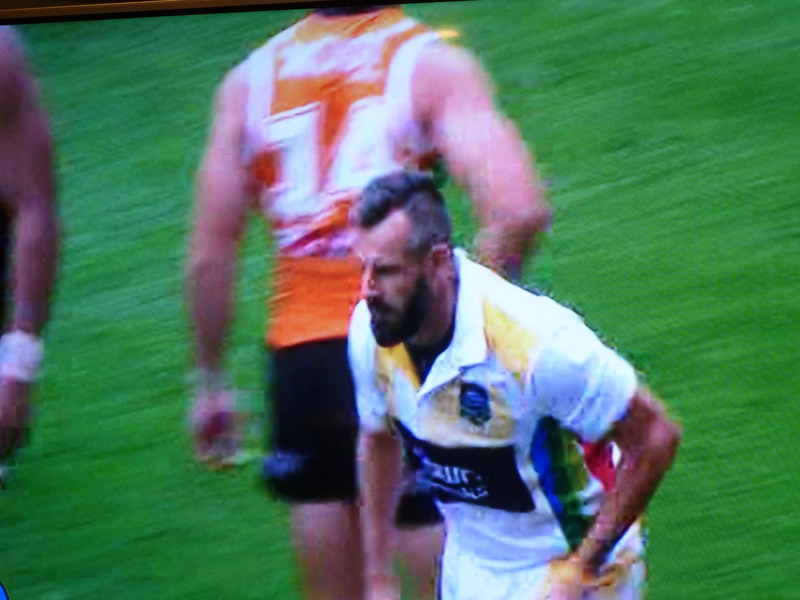 In the Tigers game, when Tim Simona made a break, it was Lisone who chased him down, making two tackles in the movement and then calling for the first hit-up after the Tigers coughed up possession. Keep your eyes peeled for Big Sam. 9. Injuries happen. I feel very sorry for any players who were injured at the Nines. Of course, it’s a blow to the team and the individual, in what is essentially a meaningless showcase of rugby league. In the case of Cronulla’s young Kiwi playmaker, Nu Brown, it can ruin your entire year. Others, like Sione Mata’utia, Chris Sandow and Aidan Sezer, all could miss time. But I fail to see how the Nines are any different to playing a trial game, or even preseason fitness work. Feel free to enlighten me if you think otherwise, but surely players are exerting themselves more in training, be it in the gym or in boot camp-style training scenarios, than they are over one weekend of footy. Like I said, extremely unfortunate, but injuries are unavoidable, especially in a contact sport. 10. Long kick-offs could be a thing of the past. If there was one element of the Nines game that players and coaches must be taking a close look at, I’d suggest it’s the kick-off. Sure, league is a territorial game, so there are benefits to hoofing the ball as far away from your own line as possible, but it’s also a possession game, and as players’ skill sets grow, the risk/reward balance must be creeping ever closer. The in-the-air ability of players is improving every season, plus there are other ways to win the ball back, like shooting for the sideline or the in-goal area on the bounce. I’m not suggesting every kick-off should become a rugby union-style lift-off, or a thumping grubber kick for the touchline, but teams should definitely survey their options every time they place the ball on that halfway line. 11. Let’s make one last point. The game of rugby league is in great hands. While there were many big names missing from the tournament, all that means is more opportunities for young kids like Valentine Holmes, Tepai Moeroa, Jake Mamo, Solomone Kata, Manaia Cherrington, Jackson Hastings and so many more. Don’t be surprised if you recognise many of these names popping up throughout the NRL season, where they’ll no doubt thrill you once again. 12 and 13. Sorry I couldn’t resist. Two more quick points. Gavin Badger has a beard! And let’s hope the Woody Words of Wisdom are here to stay. 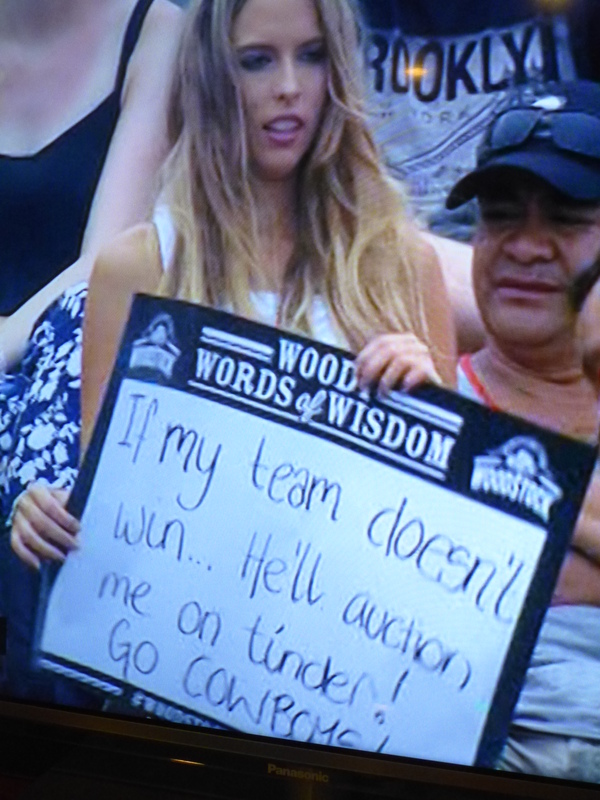 Any chance to encourage the crowd to get creative should be applauded.